PUTTING robotic arms to work in an ice factory sounds like a massive short circuit waiting to happen. But it is exactly what Jurong Marine (JM) Ice did in January. 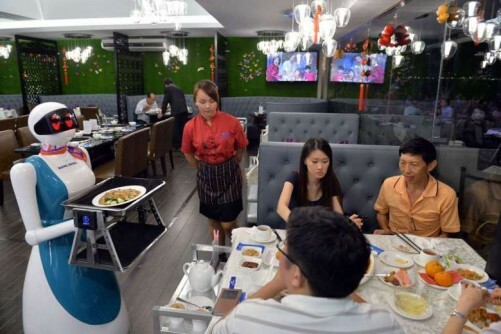 Installing S$500,000 worth of robots has enabled it to shed its reliance on nine workers whose thankless job it was to manually stack 18-kg packs of ice onto delivery platforms, from where the bags go into cold storage or directly onto trucks for delivery to clients. Eric Lee, one of the company's two executive directors, said: "We were facing a big headache as no one wanted to work as an ice-packer." It didn't help that hot days would send demand for ice up, which meant these workers had to clock longer work days. With the robotic arms in, the workers aged between 30 and 60 have been redeployed to other jobs, such as that of keeping an eye on the machines. JM Ice reaped another bonus from mechanising the ice-stacking job: a quantum jump in productivity. It used to produce 100 tonnes of ice, or about 5,000 18-kg bags daily at its 4,400 sq m Fishery Port Road factory. The four robotic arms now achieve an output of 300 tonnes of ice daily - stacking 10,000 more bags than before, each arm lifting the bags effortlessly, whirring as they stack them in precision fashion atop one another. Each robotic arm does the work of four to five human ice-stackers, said Mr Lee. 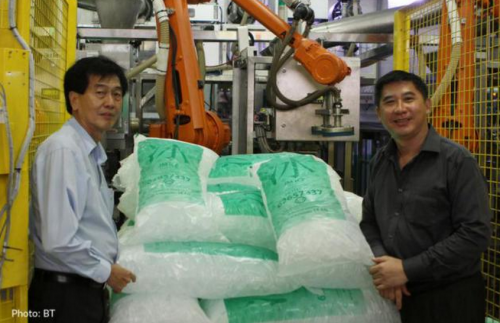 In all, the robot palletising system, funded partially by Spring Singapore's Capability Development Grant, has raised productivity by more than 20 per cent, JM Ice said. The firm, one of several large ice providers in Singapore, has a market share of 30 per cent in the ice manufacturing and distribution industry and a base of more than 5,000 clients ranging from hawker stalls to supermarket chains, hotels and factories; familiar names such as 7-Eleven, the Kopitiam group and Sheng Siong supermarket buy ice from it. The firm's manufacturing facility has several tube-ice makers and packaging machines; it also provides cold-storage warehousing for frozen foodstuffs. Its robotic arms are from German automation tech firm ABB, but the robotic software was programmed in Singapore. The factory's rather damp environment presented challenges, said William Lee, the firm's other executive director. The two Lees are not related. Mr William Lee said: "Our product is water, it's wet. We didn't think it would be very compatible with robots. "I've seen other factories using robotics, but it is not common in the ice industry." In the first three months, vacuum-related issues and the high moisture levels were problems, but these were overcome by alterations in programming and collaboration with Mega Plus Technology, the company's software systems supplier. Even before the robots came along, JM Ice had had a track record of embracing technology. Each of its more than 30 delivery truck drivers had started out taking down orders using pen and paper years ago. In 2012, they switched over to personal digital assistants or PDAs. Then the PDAs were phased out last year when Xiaomi smartphones were introduced. In-house apps for orders are now linked to the system at the company's premises. These have improved efficiency and accuracy, and reduced the probability of human error, especially on the backend, said Mr Eric Lee. Down the road, JM Ice intends to use similar robotic arms to load ice onto its delivery trucks. It is also looking to enlarge its fleet of trucks to meet ad hoc orders more efficiently. 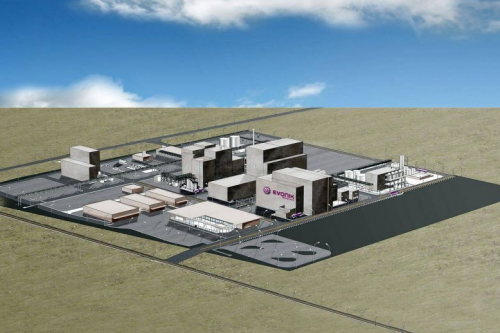 Mr Eric Lee said that, with the firm running at almost full capacity, plans for expansion will be on hold for the moment; a search has to be mounted for a new factory site, with its land lease from JTC expiring in 2030. 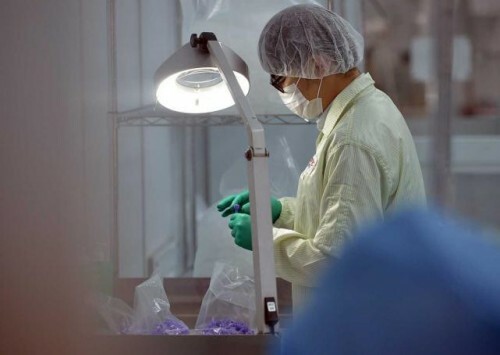 Set up 44 years ago, the company is staying put in Singapore, even as other ice manufacturers have moved to Malaysia to take advantage of the lower costs there. This is because JM Ice trusts the quality of the water here, he said. 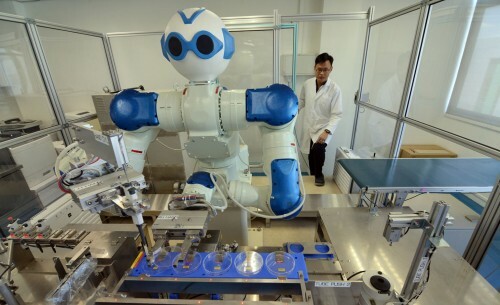 Mr Eric Lee added that the firm is aiming to improve its bottomline by raising output, an effort aided by the newcomer robots. "The ice business is a volume game. As long as you have the volume, you'll have the right price," he said. A client pays between S$3 and S$15 for an 18-kg bag of ice, depending on the amount of ice ordered. Mr Eric Lee said that the company is also paying attention to quality service, and in this business, service is matter of promptness. The firm aims to deliver its product within two hours of an order being placed. To achieve this, it grew its initial fleet of three trucks - which it had had since 1971 - to more than 30 in the last 10 years. Each truck serves 50 to 100 customers a day, with the fleet fulfilling up to 3,000 orders in that time. JM Ice's expansion plans thus far have entailed acquiring other firms, gaining instant access to their vehicles, drivers and customer base. The acquisitions have included Singapore-based ice suppliers which import their ice from Malaysia. JM Ice views its main challenge as that of competing against vendors using ice-makers on a smaller scale, said Mr Lee. "Other ice factories aren't our real competitors. Our real competitors are mostly small ice-makers, which are everywhere." But he added that the company is not too worried, because small ice-maker machines incur high maintenance and fixed costs. There is still a gap in production, said Mr Lee; even businesses with large ice-makers still need the support of ice factories during peak periods. 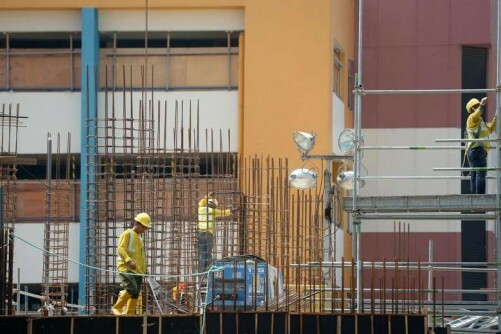 For now, the firm will continue focusing on the fundamentals. "Ice is ice. It's a rather straightforward business. As long as the service is good, and the price is right, we'll survive."